 This classic adventure bike is small but packs a wicked punch. 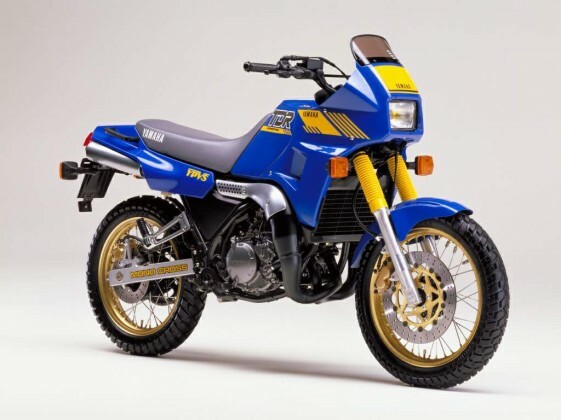 Adventure Bikes were invented in the 1980’s and some of the coolest designs were created during that decade. You’ve probably heard of Honda’s Africa Twin and BMW’s R80GS, but what about the Yamaha TDR250? If you live in the U.S., you may have never heard of this Adventure Bike because it was not imported to the States. It’s an Adventure Bike in a category of its own, from a time when manufacturers were willing to take more risks with truly innovative designs. What makes this bike cool? Well a common complaint about modern Adventure Bikes is that they are too heavy. A lighter bike improves handling and is all-around more fun to ride. You are probably thinking a 250cc Adventure Bike is just too small and under-powered, right? Not if it’s a two-stroke. Two-stroke engines make roughly 2x the power of a four-stroke for the same engine size. The Yamaha TDR250 utilized the same two-stroke parallel twin YPVS (Yamaha Power Valve System) motor as the TZR250 road race bike. Weighing in at just 294 lbs. 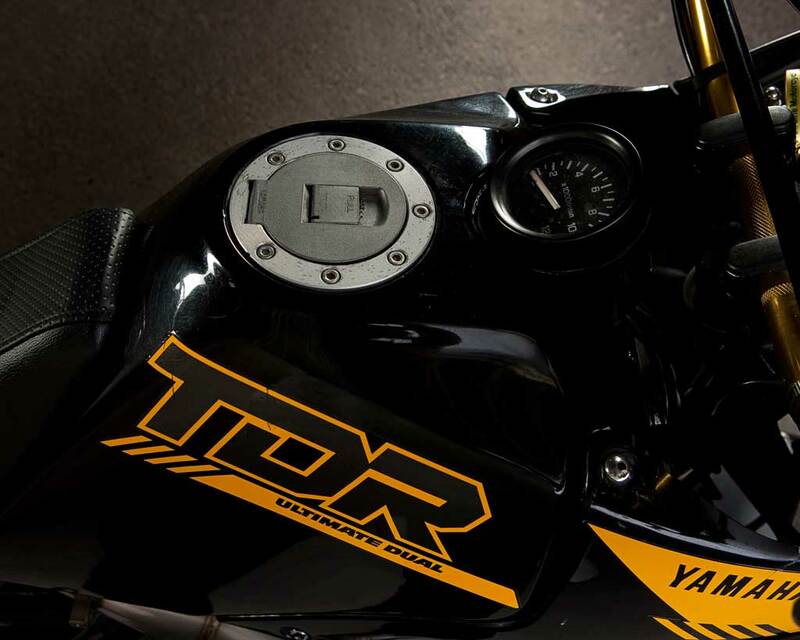 (134 kg) and producing 50 hp (37.1 kW), the TDR250 packed a lot of punch in a small package. To put it in perspective, one of the lighter Adventure Bikes on the market today is the Kawasaki KLR650. The TDR250 is 92 lbs. (42 kg) lighter than the KLR and has a power advantage of 13 hp (9 kW). When compared to the new BMW R1200GS Adventure, the weight savings is nearly 200 lbs! Yamaha engineered the TDR 250 to be the near equal of the TZR 250 on roads, while being a good match for their DT or XT models off-road. In achieving this, the engineers considered the TDR 250 to be the “Ultimate Dual Sport.” Today the TDR 250 is known for its extremely agile handling and has become a desirable bike for collectors of vintage motorcycles. Some of the unique aesthetics found on the bike are the cross-over expansion chambers and tank mounted tachometer, as seen here on this beautiful example owned by Jim Overstreet. If you have ever owned a two-stroke, you know that there is something about them that stirs your soul. When a two-stroke is “on-the-pipe,” it makes a sweet sounding whine as you get a huge rush of power on the top-end. The YPVS system on the TDR250 makes the exhaust ports open up wider at higher rpms, while also giving it a more wicked sound. And who doesn’t love the smell of two-stroke smoke (tip: Castor Bean Oil smells the best). We wish that Yamaha could make this bike today, but unfortunately two-strokes were killed off by modern emissions standards. Hopefully, we will see more light-weight Adventure Bikes appearing on the market in the future and we can enter a new age of innovation from motorcycle manufacturers. The TDR250 is probably not the most practical bike for Adventure Touring, but we’d love to have one in our garage. If you are lucky enough to see a TDR250 appear in your local classified listings, it would be a smart investment to go pick it up. A clean example will sell in the $6,000-$10,000 range and you can expect it to increase in value over the years while you enjoy it. 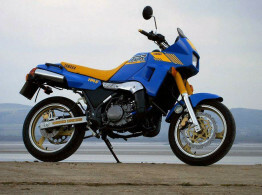 To learn more about the history of the Yamaha TDR250, check out this write up on motorcyclespecs.co.za. You can also see the bike in action in this classic Yamaha promotion video from Japan. Have Smartphones Made the Handheld GPS Obsolete? A good review!!! , and you are right about the 2 stroke power band, i love my newly restored 1993 tdr!! We are big fans of the TDR250. We’d love to see your newly restored ’93 TDR. You can post your pics on our Facebook page. 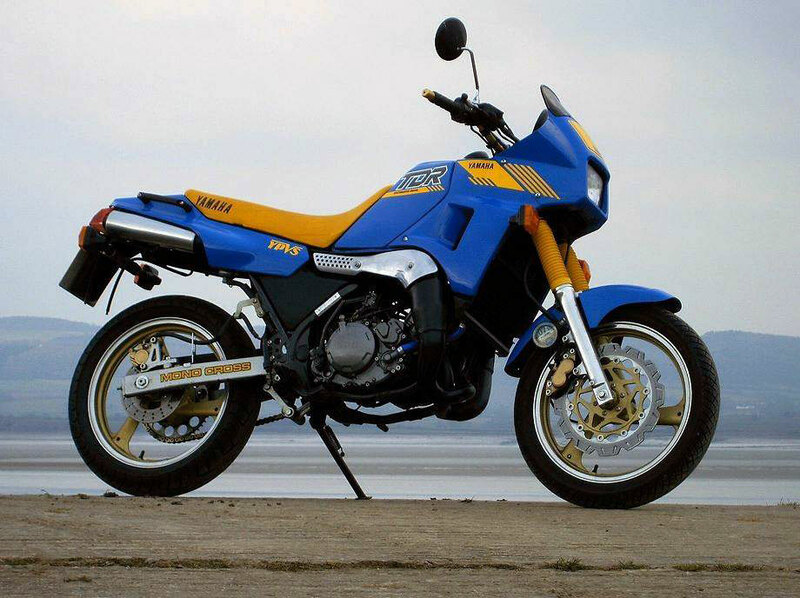 Apart from my cz learner bike I have always had 4 stroke bikes, GS thou, Bandit 1200, R1, fireblade, CB 1300 etc etc! Now I am older I wanted a smaller bike. I found an old TDR 250 and have been renovating it. It had sat in flood waters and was neglected. When I got it running it scared the ©®πp out of me when that power valve opened in FIRST gear! Its a mental bike that impresses and has given back that adrenalin rush of my first time on a big bike. Better than expected handling on road and light and easy off. Now I have to get a ride on an LC RD 350! !